We are kicking off the flying season with a special breakfast for you, you are welcome to bring all your friends and family. We will serve from 8 am until 10 am, unless we run out of food, which has happened most times around 9 am. 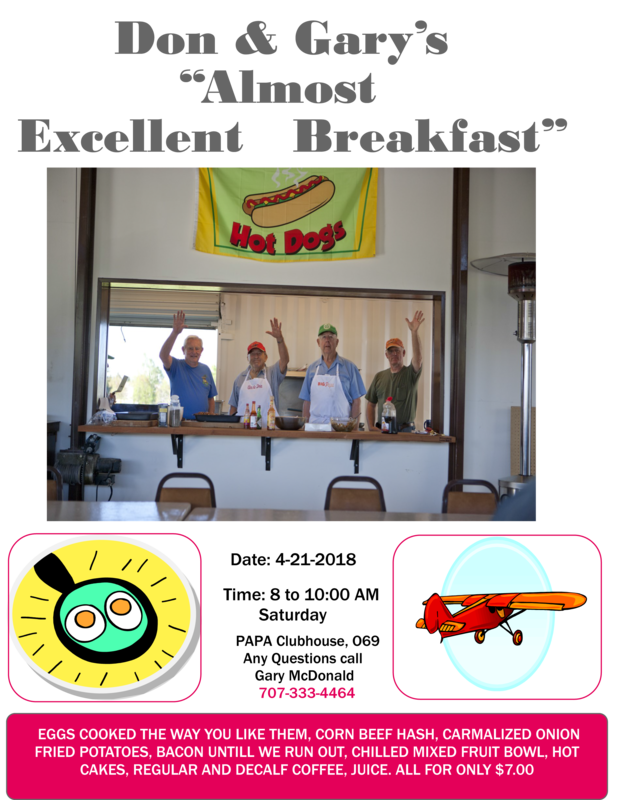 On the flyer is our menu, please copy it and pass it around, our food selection is not far from the first one that we held many years ago in my hangar. Don Smith wanted to get everyone at the airport to get to know one another and what a better way than “breaking bread together”, help us continue this great tradition, support the Scholarship Fund and meet our famous surprise guest!